Chances are many of you will visit Húsavík in northern part of Iceland since it’s a whale watching paradise. But there are more things to do in Húsavík than just admiring whales. Like eating some cake by the ocean. And no, I’m not talking about the pop hit Cake by the Ocean with DNCE, even though I quite like the song. I’m talking about one of the places I can recommend without hesitation in the north. A little known place called Tungulending, located a few kilometers outside of the town, in the direction away from the highway. Tungulending is located down by the sea with a mesmerizing view of Skjálfandi bay. On a clear day it’s the most tranquil and lovely place where you can be one with nature and meditate with the soothing sound of the waves going back and forth. And if you’re lucky you might catch a glimpse of whales or other sea creatures. 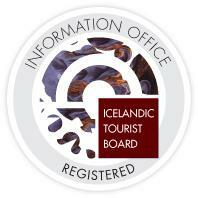 Click here to view this tour, which includes a visit to Húsavík village. In Tungulending you will find Tungulending guesthouse where you can buy the most lush, homemade cakes and enjoy some freshly brewed coffee. You can enjoy these delicacies by the pier with a view of the bay and rest your weary bones. I can hardly put into words how much I love this place. I felt so at ease here and felt I could just stay there for days, gobbling up numerous slices of the aforementioned cakes. They are that good! And if you don’t like cake, which is a bit weird, I suggest you go anyway. To get to Tungulending you have to drive down a steep hill which can be tricky in the winter time but just be careful and you will get to this magical place safely. There are so many gorgeous vegan options in our wonderful capital. You have to try one! Get ready for a heated debate! Get ready for carb heaven!